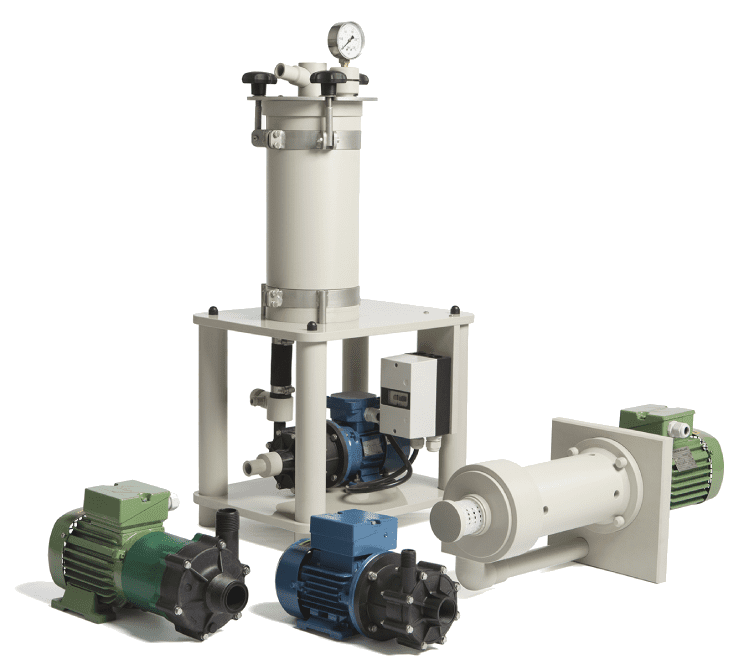 For more than 45 years Corode has enjoyed a worldwide reputation in the field of plastic filter units and plastic pumps for the chemical, galvanising and waste water purification industry. Corode has specialist expertise and uses the latest technologies. We produce all our products ourselves and that means we can adapt quickly and deliver directly from stock. If you would like any specific modifications with regard to the Corode products, we would be more than happy to consult with you so that we can make a suitable offer. 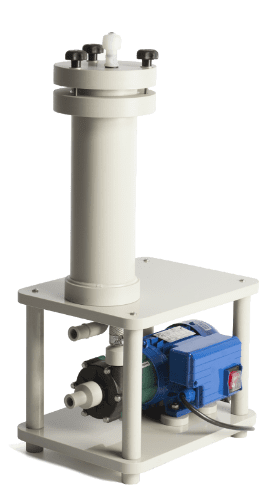 Corode offers a complete range of plastic (PP and PVDF) pump and filter systems which can be used in all kinds of industrial processes. 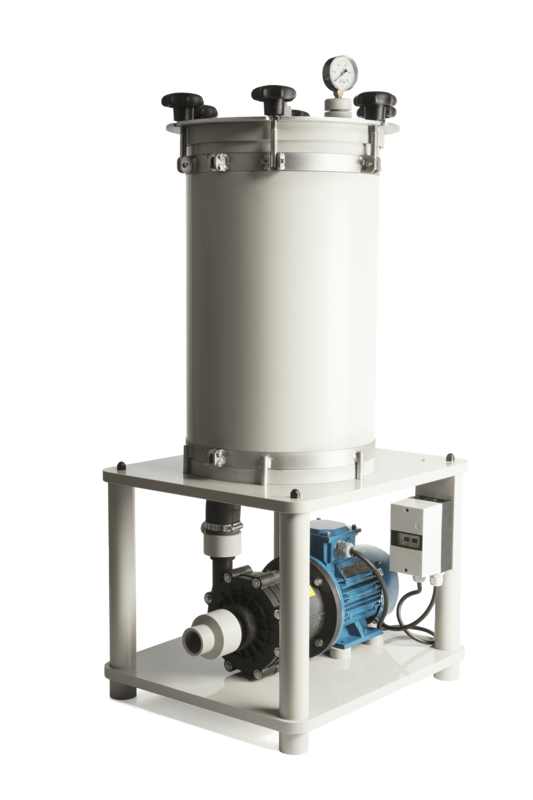 The Corode pumps and filter systems are extremely suitable for the pumping, recirculation, degreasing and purifying/filtering of waste water flows, chemical and corrosive liquids or other industrial fluids at temperatures of between -20°C and 120°C.